GTE assessment (Genuine Temporary Entrant) is a part of a student visa requirement. Quite often cases officer wants to discuss with a prospective student the reason, why he or she wants to study in Australia. Here’s a first-hand conversation between a prospective student and a case officer. Dear X, I’m from Australian High Commission, Department of Immigration and Citizenship, New Delhi, India. I’m your case officer Y. Not a big surprise for you that I was your case officer earlier time as well. Do you feel comfortable to answer few of my questions at the moment? 2. Okay tell me your passport number, and where it was issued from? — Bachelor degree. I am a fresh BBA graduate from XYZ University. 4. Your IELTS score and subscores? —Mmm.. Overall band score of 7.5. That is 7.5 in Listening, 8.0 in Reading, 6.5 in writing and 7.0 in speaking. 5. Why you scored just 6.5 in writing while you have exceptional results in other modules? 7.5 hmm.. Brilliant score by the way. —Yeah, that’s quite low. Task 1 of writing was little confusing and it took me like 5 minutes to think about how to start. I couldn’t manage the given time very well. I had just 20 minutes left when I began writing Task 2. I couldn’t check grammar and spellings in the end of the test. That is probably the main reason that I scored just 6.5 in writing. 6. What was your previous IELTS score? 7. Why are you again applying for Australia? —Australia is indubitably one of the best countries in the world for higher studies. Since the day I completed my plus two, I wanted to go Australia to further my studies. With a huge hope of pursuing Australian degree, I applied for Australia student visa in May 2012 but that was my bad luck that I couldn’t get visa. Now I am again applying for the student visa. I have good grades and good IELTS score, so it is beyond doubt that I had access to all the best educationalists in the world, including Harvard and Cambridge, but still I chose Australia because Australia has a very perfect climate. Beside this there are ample reasons, but one major reason is that the Australian education system promotes innovation and creative thinking along with skills of teamwork which I found very essential for the students. Follow us on facebook if you like it here, so you’ll be first to know about updates on this page. 8. Do you know why you were rejected before? —Yes. I didn’t satisfy the GTE conditions which are essential under Streamlined Visa Processing System of a student visa. 9. You applied with loan from NCC bank before.. Now why you are applying with cash? —Either we go with cash option or loan option, the main purpose is to show that we have adequate fund to study and live in Australia. My father had 47 lakhs in SBI bank and it was maintained since 8 months. We have money in few co-operatives as well, so we will have no problem in paying tuition fees and other expenses. 10. Earlier time you said you want to start up your business in the future, but now you’ve written in your SOP that you want to become an accounting expert. Why? —Well, I was just a high school graduate when I applied for student visa last time. I didn’t know much about the scope of the courses, but now I have graduated my bachelor degree. I am more matured and have understood so many things. I specialized finance in my bachelor program. Like any aspiring university graduate I contemplated various options and finally concluded to become an accounting expert because you know the scope of accounting expert and financial executive is top in the world. 12. There’s accounting courses in India as well, why did you chose to go that far? India should be convenient for you. —Yeah there are numerous accounting courses offered by the Indian Universities but one thing they lack is international exposure which is I think very essential for the student like me who wants to become one smart accounting expert. 13. Why did you chose Flinder’s? — Well, the decision to study at flinder’s is based on my extensive research. It holds ranking among the world universities for accounting study. It emphasizes innovations and add excellence in our study. It helps students to understand that education is more than just taking books from the library. It provides window of opportunities for the students so that when they graduate they will have much more than just a degree. It also helps research students by providing a wide range of resources as it has a good collaboration with a world-leading research institute, groups, and centers. 14. Tell me about Flinder’s. — Flinder’s is one good university in South Australia. It is centrally located in Adelaide central market just a minute away from Train station. It has 4 metropolitan campuses in Australia. The one where I am applying has the largest number of students, almost 27000. 15. How do you prove yourself as a genuine student? — I never had gaps in my studies. I was always serious towards my studies. The transcripts and certificates from school till university shows that I am a genuine student. 16. Why did you apply by yourself without any help from educational agent? — Well I had been to many consultancies but nobody showed interest on my documents. But I was never sad because I knew someday I will reach the point where I always dreamt to be. So I started applying myself. The international student officer at Flinder’s was so supportive that he helped me a lot with admission and all. 16. Give me some guarantees that you’ll come back to Nepal after study. — Well, my only motive to Australia is for study. I want to get a degree from there and establish myself as a good example of accounting expert in Nepal. And you know I am the only son of my parents, so I have many responsibilities towards them as they are already old, so I have to come back to look after them and take care of their property. As you can see the most important is to answer questions honestly, but in the way and manner which will address GTE assessment properly. Should you wish to discuss your particular situation please do not hesitate to contact us or book a consultation with a Migration Agent. 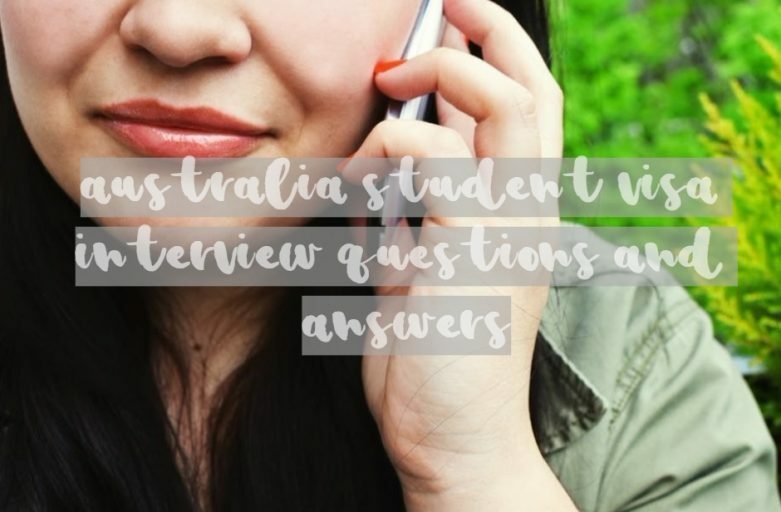 Australia student visa interview questions and answers. A call from a departmental officer ☎️ asking about reasons of studying in Australia is nothing unusual. A case officer is checking if prospective student's visa holder intention of staying in Australia temporarily is genuine. Have a look on possible scenario. Hi guys I have lodge my student visa and now visa officer is asking additional documents. Even I have submitted additional document so is there any chance to reject my student visa. I’m in worry. Well – it’s easier to get a visa for an University than for any diplomas or certificates. Give us a call to discuss. Finding a high profile job right after the school is sometimes difficult. You had to start somewhere to gain a work experience and that was the only one you could secure in IT field – makes sense? I got one conditional latter from vu and this condition is success full to pass gte assessment . I get this latter 5days ago but still I could not receive any update from vu. Also my agent send to mail to vu like which type condition in this gte assessment like interview related as well as Elicourae related..
….so sir….what is gte assessment requirement? How to pass this gte assessment? GTE assessment is a document required for a visa application. If the university is asking for one it might be their internal process. Schools sometimes asking for Statement of Purpose. You’ll have to describe in your own words why would you like to study in that particular school, that particular course. I can follow up with your visa application. 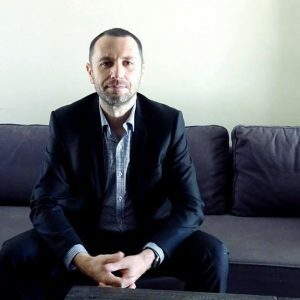 Please give us a call to +61 (7) 3668 -658 or contact us through the form here: https://migration-agent.com/contact-us/ so we’ll have a chat what shall be done so you could get a visa. Can take a while. Currently, it takes up to 3 months for a student visa to be decided. It has been 33 days after i lodged my file for Australian student visa. I didnt get a telephonic interview and there is no update. I cant even track my file because it was submitted online. What should i do? Have a look at the department’s website what is current average time for a visa decision. Hello.my name is ashen.I have applied for Master in business degree programme.I have add 5 mouths English course also.I payed 5 months English course cost and 6 moths my degree programme cost .so do I have to show another 6 months course fee and living cost or only the living cost? because I already payed one 1 year course fee. SO, how much guaranteed about visa?? What about the visa interview??? Applying for a student visa became a complex process, refusal ratio is quite significant especially for Cert and Diplomas. We had a success with visa grants when people had it refused initially. Please book a consultation so we’ll discuss your case. I just want to know that as i have done btech in electrical engineering and in apic college sydney campus and there i have applied in master of business and project management course so can you guys please tell me visa granting rate to me ? It’s more complex than just stating you want to do another course. Bear in mind GTE assessment. In general, it’s easier to get a visa granted if visa applications is lodged onshore. A gap should not be an issue. Make sure you’ll satisfy all the other GTE requirements. You got a CoE from the school already, right? Don’t understand what’s your concern? could you please tell me about visa sucess rate and can I get visa ?? and what about interview ?? What are the possibility of getting a visa to study diploma in Hospitality management in Kenvale?I wish to know the ratio of visa grants for diploma application. Thanks. I wish to know that as well, but this data is not publicly available. Where are you from? Whether you’d be interviewed depends mostly on the country of your passport. You need to let uni know what you have studied so far, proof of your English and maybe a statement why you have chosen a particular course. Usually, there is no interview.